Horse clippers of all shapes and sizes can be found in just about every stable around the world. While not always necessary, they are convenient to have around for a variety of purposes. Whether you run a show barn and have to keep your horses pristinely groomed or you run a backyard stable and just need to trim the occasional bridle path, having the right tool for the job makes things a lot easier. The best horse clipper is the one that gets the job done quickly and without issue. 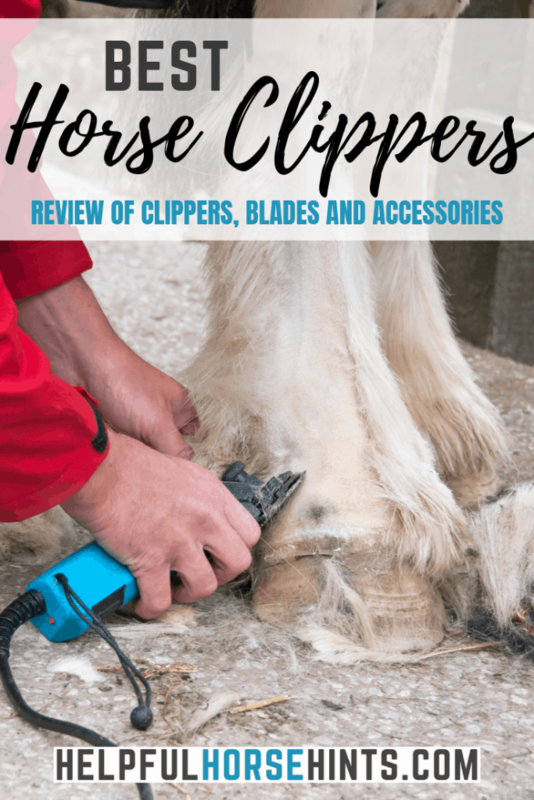 Writing a review on the best horse clippers isn’t as easy as you might think. If I had to choose just one out of all the clippers below it would probably be the Wahl Chromado. I just think the versatility it has to be corded or cordless would be very useful. There are different types of clipping so we’ll address each separately and give our thoughts on the best clippers for each job. Each fall horses start getting their winter woolies. If you follow a strict lighting and blanketing regime, you can help avoid your horse growing all this excess hair. Let’s face it though, that isn’t always feasible. So, as winter sets in, your horses get hairier and hairier. Riding makes them hot and sweaty. They go and roll in the pasture and get full of mud. They may develop scratches on their legs from their skin getting wet and not drying properly. Maybe you have a winter show series planned and you just want your horse looking his or her best. Whatever the case may be, body clipping is the quickest and easiest answer to get your horse’s coat under control. The hairier your horses coat, the harder it is for clippers to cut through it so you really want a body clipper built specifically for the job. Horse body clippers aren’t meant to do minor touch ups. They do one thing very well, body clip horses. You may consider these heavy duty horse clippers for your hairy cob as well. While it may seem sacreligious to trim a cob or Friesian horse’s feathers, sometimes it’s necessary and heavy duty clippers like these are great for the job. There are two clippers we found with positive reviews for this category. I recommend corded clippers. You just can’t beat their power and you don’t have to worry about having to stop in the middle of your clip job to recharge or swap batteries. Both of these clippers are corded. I have personal experience with a 20 year old set of Oster clippers that is still running to this day. Remember that, if well cared for, these clippers are an investment that will last a very long time. Quick and powerful option if you have multiple horses to body clip. Not good for working around head and legs. Too big, bulky and noisy for these areas. Heavy duty variable speed for body clipping. Soft touch grip for better control and comfort. Operates on 120 volts of adjusted current at 150 watts per hour. Comes complete with a fifteen foot heavy insulated cord. While I haven’t used this clipper personally, it had some really great ratings on the Amazon site. This clipper has a patented technology to ventilate the blades helping them to stay cooler longer. Overload switch to protect the motor in the case of a jam. Patented ventilated head protects the blades and clipper head from getting hot. Lightweight to ease tiredness when clipping. The horse clippers in this category could do a body clip. Pop a wide blade on them, use plenty of blade cooling products and take some breaks and you’ll be able to get it done. That’s not where these clippers excel though. These are the best clippers for horse legs, bridle paths, muzzles and general clipping jobs. These are great, for example, if you need to do just a couple trace clips or blanket clips on the horses in your barn. These will do an excellent job of booting up most horses legs as well. While these clippers can do the occasional heavy clip, they are really best for the more day to day horse clipping jobs around the barn. For this category of horse clippers, I prefer cordless. Typically you aren’t going to be using them for long periods of time and it is great to just grab and go. The biggest obstacle is making sure they make it back to the tack room! In this category of horse clippers I’ll still review both corded and cordless since I know not everybody’s preference matches my own. These Oster clippers really are the standard. I don’t think I’ve been to any barn with more than 10 horses and NOT found a pair of A5’s in the tack room. 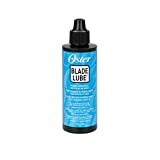 That doesn’t mean there aren’t other brands that are as good or even better but Oster has been making the A5 for a long time and it does a good job. The great thing about this clipper is that it really is a versatile work horse. You absolutely can use it to body clip a horse one day and trim 20 head the next. The easy change blade system really is easy so blending legs and trimming faces takes no time at all. 2 speed for quick clips or detailed work. Loud – Not as loud as the body clippers in the category above but not as quiet as the trimmers below. Most horses will have no problem with the noise around their body but some may object to it around their face / head. 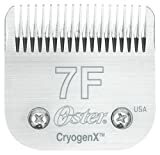 This is the other clipper I see most commonly and have used personally. I find this clipper to be quieter than the A5 above. The T-84 blade is perfect for body clipping and comes with this clipper. Don’t worry though, it takes standard sized blades as well. Is color your thing? This clipper comes in lime green! It has absolutely no other functional value other than I thought it was cool. Your clippers will sure be easy to identify if they go missing! Not into the bright colors? The standard color is burgundy and looks great too. There really isn’t much “bad” about this clipper. I’d buy this one over an A5 if I were shopping today. Andis does a great job with all of their horse clippers and this one is no different. Locking switch ensures the clipper won’t accidentally shut off. Comes with wide body clipping blade. Perfect for professional, complete horse grooming. Includes extra wide UltraEdge Size T-84 Blade. 14 heavy-duty cord for ease of movement around animals and equipment. One thing I can say about the Oster company is they have been around for a long time. I haven’t used this clipper but it gets excellent reviews. Cordless is absolutely my preference when at all possible. I understand corded clippers have their space in the barn but cordless is far more convenient. Think about the difference between corded and cordless if you want to run through a barn of 10 or 20 horses to touch up bridle paths and muzzles. With a corded clipper, that would be a real pain. With gentle horses and a cordless clipper, its a project you could knock out pretty quickly! Extra batteries available for purchase. I was actually kind of excited to find these clippers. I’ve never heard of them but they offer a feature I think is super awesome. They can be used with a cord or without! That really adds some versatility for clipping! I’ve used Wahls trimmers in the past, corded and cordless ones (you’ll see them below) and really been happy with the quality. One of the things wall does differently than other clipper manufacturers is they have an adjustable blade. The clipper blade can easily be adjusted from a size 9 all the way down to a size 40 without having to change blades.That is super convenient! Runs 90 min on single charge. It wouldn’t be fair to say anything bad about these clippers. I don’t know how loud they are so I can’t comment on that but absolutely everything else seems super awesome! Powerful, Quiet, Rotary Motor with up to 5500 SPM with Constant Speed Control, Lithium Ion Technology prevents overcharging, overheating, and only consumes the energy it needs to charge. OK so horse trimmers are horse clippers but “trimmer” more accurately defines what the clippers in this class are made to do. These horse clippers are great for minor touch ups. They are primarily used for trimming ears, bridle paths and muzzles. Horse trimmers are never going to be able to body clip a horse. Well, maybe you could over a couple weeks, but it just wouldn’t be worth the time or effort. They are usually small and rechargeable or battery operated. There is no point having a cord in this category of horse trimmer. It would get in the way more than anything. For this type of horse trimmer, really, it is truly worth it not to buy a corded horse trimmer in this category. I’ve included one which does have a little bit more power than the cordless counterparts. If you want to go with a corded model, this is the only one of value in this category. This is the the type of clipper I had as a horse crazy kid. It was budget friendly (I’m sure I got it second hand even) and absolutely did everything I needed it to. I just needed to be able to trim the bridle path on my Arabian mare, clip her muzzle and tidy up her fetlocks. Occasionally I’d “boot up” her socks to make her look like a show horse or shave shapes into her hindquarters like hearts and clovers. If you aren’t going to be doing any body clipping, this is a great little clipper to have around. Even if you are going to be doing body clipping, this makes a nice backup. Plus, its cheap enough to let the barn kids use without worrying about them breaking your expensive clippers. Could be quieter (yeah I know I said they were quiet, not as quiet as some other models though). Wahl Professional Animals Show Pro Plus medium-duty equine clipper is perfect for trimming the bridle path, fetlocks, face, and ears on horses--and can even handle light body clipping. An adjustable taper lever makes it easy to adjust between three blade sizes: #30, #15, and #10. Offers a powerful 7,200 strokes per minute. 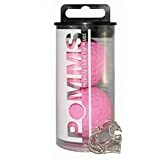 Includes a grooming tool with soft bristles to gently remove mud, sweat, dirt, and hair while the soft plastic grip fits perfectly in the palm of your hand for a comfortable grooming experience for both you and your horse. Measures 6.5 by 2 by 1.5 inches (H x W x D) and weighs 15.8 ounces; clipper made in the USA. Backed by Wahls 30-Day Satisfaction Guarantee and a 2-year limited warranty. Made for use in electrical outlets in the United States only; not designed for international use. Kit includes Show Pro Plus horse clipper, face brush grooming tool, blade guard, blade oil, cleaning brush, and instructional DVD. On Amazon, this cordless clipper is clearly being marketed for dogs but don’t let that dissuade you. It is a handy little horse trimmer. This is another one I’ve used off and on over the years. Again, remember this category of clipper is just for touch ups and trims and this one does a good job at that. The benefit of this clipper is that it is cordless and cheap. Drawbacks, sure. At this price point the battery isn’t great. You aren’t going to get much farther than one to two touch-ups in my opinion before needing to recharge. As with the corded model above, this is still a great little tool for the tool box. OK I know what you are thinking, another Wahl clipper? They really do this category well. Here we have a clipper being marketed for human hair but it will work just fine as a horse trimmer as well. Rechargeable, cordless and cost effective, it is a great trimmer for those on a budget. It claims 60 min battery life. I can’t say yay or neigh because I haven’t actually used this one. My experience with Wahl trimmers in this class and battery life isn’t great but for the price, its worth a try! Each type of horse clipper above is going to have a different type of blade specifically for its model. Each of the clippers above has detachable blades. As your clippers cut through the horse’s hair, the blades will become dull over time. Additionally, different size blades are used for different purposes. Some models will have built in features that make it easy to switch out blades. The easiest to change are usually clippers found in the all purpose category because they are designed to be able to handle a variety of clipping situations. Hardest to change is the trimmers. Sometimes, due to their price range, it’s not even worth it to sharpen the blades on those clippers. This is a general purpose clipping blade. Great for body clipping, clipping legs, basic all around blade. It is available in wide width for body clipping allowing you to get through the coat faster. If you had to choose one blade to have on hand I’d always recommend the #10 blade. Most clippers come with a #10 blade installed standard. I highly recommend you have at least one or two spares in addition. This will ensure you always have a backup. When one blade gets dull you can send it to be sharpened and still have your back-up. View on Amazon. 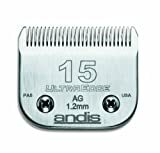 On Andis clippers, the T84 clipper blade is most often used for body clipping. It is a nice, wide blade that helps the clipping process go faster. 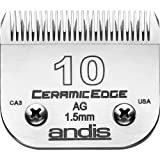 This blade can also be used with other brands of detachable clippers but be careful because some reviewers say they do not fit the very popular A5 clipper by Oster. View on Amazon. For show horses, especially those with white socks, a #30 blade might be used to trim areas like the muzzle and bridle path. Because these are a closer cut than a #10, they can also be used to clip designs into your horses coat. View on Amazon. OK so we’ve covered clippers and blades but this article wouldn’t be complete if we didn’t cover some must-have accessories. I’m going to list a variety of items here but remember, always check the manual on your brand of clippers to see what they recommend specifically. Blade wash is used to clean your blades. It is helpful to use during clipping, especially if you are clipping a dirty horse. Blade wash will help clean the spaces in between the top and bottom blades. Just put a small amount in a shallow dish, turn your clippers on and submerge just the blades. You’ll see all kinds of gunk, dirt and debris come out. Most clippers will come with a small amount of clipper oil. Clipper oil is a must have. It helps to maximize your clippers performance and prevents the blade and clipper from rusting. There are a few different versions of this on the market but they all help to do the same thing, the lubricate and cool the clipper blade. Some brands act as a disinfectant as well. Whatever the case may be, you want to make sure you have at least one full can of this on hand before starting to body clip your horse. If you have multiple horses you are going to be doing body clips on, you may want to make sure you have multiple cans on hand. This is like the stuff you use to spray out your computer. There are brands made specifically by clipper manufacturers but they do essentially the same thing, get all that nasty hair out from all the crevices of your clipper. Giving your blades a good spray should be part of your routine when putting your blades back in the tack room. Once you’ve bought your nice fancy clippers and awesome set of blades, the last thing you need is your blades floating around in a bag together and the blades getting dull. A proper blade storage container is a great investment and will help ensure your blades aren’t loose and jingling around. There are different types available but a closed case is best for horse environments so that dust, dirt and loose hay don’t get into them as well! Truthfully, I haven’t ever used these. My horses either tolerated clipping or they didn’t and I moved on with my day. You see, I’ve always ridden primarily trail horses so it didn’t really matter either way. But, I know some of you show and really need your horse looking her best when she enters the ring. In that case, all my showing friends swear by ear plugs. Here are the ones they recommend. Apparently these get less clippings in them than the fleece fuzzy ones. Hey! Congratulations for making it to the end. Gosh this was a long post. I really tried to cover everything in detail and give you the information you need to make a decision on which horse clipper might work best for you. Do you want to see some awesome transformations? Each of these horses got some nutrition, worming, etc but their clip job definitely contributed to their makeover!